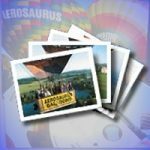 In-Flight photos from your balloon flight, superb quality photos loaded to a USB stick to take away after your flight. A great memento of your ballooning experience. A great way to complete your gift. 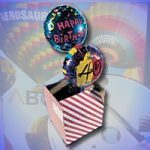 A 18″ helium balloon which arrives in a candy striped box, wrapped in a big red bow.